The comedy genre is one of the most popular genres out there, but it’s very hit-and-miss. The comedy gem of the year so far is This is the End, but The Heat will produce more than a few laughs. And in a year of mostly mediocre laughfests, we have to take all the near-greatness we can get. Uptight FBI special agent Sarah Ashburn (Sandra Bullock) is teamed up with foul-mouthed Boston street cop Shannon Mullins (Melissa McCarthy) in order to take down a ruthless drug lord, Larkin. Things might go a little awry, because neither of these women have ever had a partner or a friend. Sandra Bullock has always been a funny screen presence, and a talented one. Whatever she is called to do, she can do it well. Melissa McCarthy is also a funny screen presence, even if I prefer her on TV’s Mike and Molly. She has basically been playing the same roles in the movies ever since 2011’s Bridesmaids. (First Megan in Bridesmaids, then Diana in Identity Thief, and now Shannon Mullins here.) While that works for some actors, I’d really like to see her mix it up a little. That dirty, vulgar role might get old in a hurry. As her character of Shannon, she is funny, but even a sailor might be offended at some of the things she is asked to say. Most do produce laughs, and that’s just the point of a comedy; it makes you laugh. The humour is raunchy as hell, but usually funny as hell. When I wasn’t laughing at the jokes, I was at least smirking a little. When it isn’t being hilarious, the likeable chemistry between Bullock and McCarthy really carries it along. The presence of Bullock really balances out the humour as well, and she isn’t just milking a straight man role. Both of these girls have lots of fun together joking around. There’s some quotable lines with a few memorable supporting turns. It’s great to see so many TV personalities on the big screen (most notably MADtv alum, Michael McDonald). 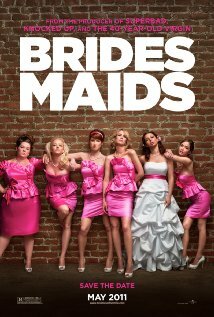 Paul Feig knows how to bring it as the director as well, and I like the general story more than Bridesmaids, even if it isn’t anything special. It’s really just your traditional buddy cop comedy. They’re trying to take down a drug lord, and blah blah blah, you know the rest. It’s one’s traditional, somewhat predictable ride. It’s a formula that works, and the Bullock/McCarthy team produce a lot of laughs. There’s lots of fun action and memorable jokes, even if they’re all vulgar and not all that clever, but they’re not repetitive or lazy, either. I appreciate the sweet core and sentiment underneath its mean spirit. It’s interesting how each character’s loneliness is shown; Ashburn only hangs out with a fat cat who has to go back to the neighbour’s when she comes-a-lookin’; and Mullins has basically been disowned by most of her family, for a reason I won’t spoil. It gives these characters depth, and you’ll probably like these characters a lot. The plot flows well and there’s a good comedic momentum – with a chuckle-worthy scene here, and a hilarious scene there. There’s one particularly gross and superfluous scene, though, that does nothing to advance the story. It feels as if they could get the message across a lot better in a much better way. The movie balances out to a fun, somewhat predictable, but hysterical time at the movies. You’ll laugh out loud quite a few times, and that’s all that matters with a comedy. This isn’t the most memorable thing out there, but you could spend your money on a lot of worse movies. Check it out if you don’t mind your comedy often raunchy and incredibly vulgar. 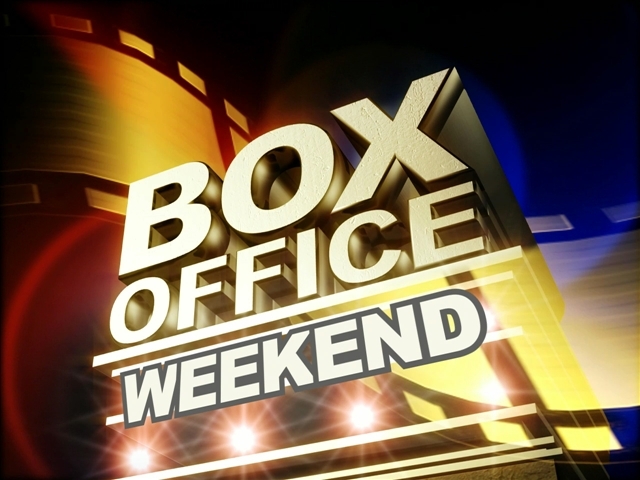 Comedy movies have performing fairly well so far this year. A few bombed (Movie 43), a few opened to expectations (This is the End), and a few impressed (Identity Thief). 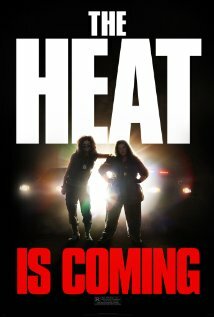 Now, it’s time to see how the Sandra Bullock/Melissa McCarthy buddy comedy will perform. I think it will out-do Identity Thief, but not by a huge amount. It seems extremely vulgar, but funny. This is going up against White House Down and the competition of World War Z, and Monsters University in their second weekends. This and WHD are in a real battle of the sexes. I’m looking forward to seeing this, and movies similar to this open to an average $24.68 million. Melissa McCarthy is pretty popular, as well. I’m indifferent about her; I like on her on TV’s Mike and Molly, but I’m not a huge fan of the kind-of role she plays in Bridesmaids: dirty and vulgar. I don’t hate that role, because it’s good once or twice, but I think it’s going to become tiring very quickly. I think the role could be gold, however, matched up with Sandra Bullock. And director Paul Fieg. I think this could find some great success this weekend, mostly because there aren’t many other films targeting females in the market right now (and so many are for men), so I’m predicting it at $41.9 million. 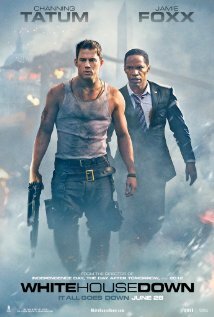 White House Down looks pretty good, but it’s as if we’ve already seen it earlier this year with Olympus Has Fallen. That movie earned $30.37 million in its opening weekend, so this really should gross more than that surprise hit, with bigger stars and director. I also think the advertising campaign is kind-of brilliant, in the way that they only portray the villain as a familiar voice. I think it really adds to the mystery of it all. Movies similar to this open to $31.25 million. Channing Tatum has an average opening of $22.6 million. Jamie Foxx has an average opening of $19.2 million. Roland Emmerich, the director, has an average opening of $39.15 million, which I think is the ideal ballpark for this. His movies are almost always lots of fun (even though one of his more serious pictures, Anonymous, was very boring). In this weekend’s battle of the sexes, I think this actioner will lose to The Heat and earn $40.3 million. The two movies might just be going head to head all weekend. Release Date: May 13, 2011. Director: Paul Feig. Stars: Kristen Wiig, Maya Rudolph, Rose Byrne. Runtime: 125 min. This film is usually very, very funny and features a breakout role from the charismatic Melissa McCarthy. However, I think it pans out like a traditional romantic comedy, with room for originality. Melissa McCarthy and other select characters really make the film. Honestly, I don’t like how McCarthy got so much recognition for this role. Let me explain. She’s hilarious in this, but I think this has restricted to her to dirty and crude roles in the cinema universe. She’s still hilarious, but I just wish she would be able to play more tame comedy roles, or not play such dirty characters, because she’s really quite pretty. She still is a great screen presence, but this type of character might get old really quickly. Anyway, it’s usually extremely funny, but I get bored when it’s not being funny. The main conflict between Kristen Wiig and Rose Byrne’s characters becomes tedious to me. And that’s what drives the film, so that’s a problem… The runtime is just exhausting. I really think 50/50 should have received the Best Original Screenplay at the Academy Awards instead of this. I respect this for what it tries to be, and I do laugh a lot when I’m in the mood for it. I might re-watch it, take notes of when the funniest jokes are, and just watch those scenes. Man of Steel is my first film experience with the Clark Kent/Superman character. So, I cannot compare this to earlier Superman films. As an origins story, it does introduce this character in a unique way, but not a way that is particularly good. As a highly anticipated film, this leaves a lot to be desired. I’m not saying it’s a bad movie, just not a great or even a good one. The narrative is fairly unique, I’ll give it that. It just feels random and disorganized. At one minute, the movie is in the present – and the next, Clark is remembering something from his past. I do like flashbacks every now and then to fill in a puzzle of a movie, but this one just hops around like an Energizer bunny. The main story follows General Zod (Michael Shannon) who invades earth with some seriously sinister plans. Initially, this story is intriguing – but it takes long to get into, and the action sequences are big and stupid. This time around, I don’t know if I’d call the destruction of New York City particularly fun – or even entertaining, for that matter. 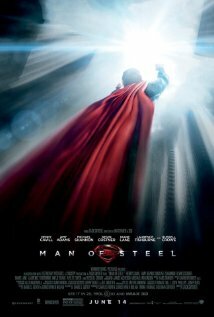 I don’t think David S. Goyer and Christopher Nolan write the most impressive tale of hope and superhuman abilities. When Clark looks back on his past, it is mostly his father (Kevin Costner) repeatedly telling him that the world is not ready for Clark’s powers just yet. They might never be ready. Clark is struggling with his superhuman abilities. This coming-of-age aspect is something that could hit close to home, in the way that people have to adjust to their surroundings and find a place for them, not in the way that everyone has to learn to deal with their superpowers. This part of the story is powerful, poignant and thought out, and I appreciate it. I just do not appreciate the constant, and sudden changes in tone throughout the feature. It goes from big, stupid action to character-driven drama that feels real. It becomes bothersome quickly, and it does not make for effective storytelling. Visually speaking, this movie is a marvel. The imagined world of Krypton, and the shots of Krypton exploding, are magnificent, and have gone unmatched so far this year. The cinematography is also impressive, it looks very pure and I love the look of the movie. It’s unfortunate that nothing is really going on under the surface, story-wise. These big-budget blockbusters should really focus more on story, and less on visuals. Of course, that’s wishing for something that won’t happen. I don’t like the story at play here, and the film has an exhausting runtime. Only great movies should be allowed to be this long. There’s just very little here that is impressive. Most of it is underwhelming. I like the cast. I love Amy Adams as an actress, and she’s great as Lois Lane, a character that doesn’t do a lot here. When she isn’t on-screen, I’m okay with it; because I mostly forget about Lane, not because Amy Adams is not a good screen presence. She is a great one. The chemistry shared between she and Henry Cavill is only okay. Henry Cavill is great as The ‘S’ Man, even if he isn’t funny; he’s stone-cold serious. But he isn’t asked to be funny, and he does bring some power to the role. This is a superhero movie that doesn’t have much humour. It has a few jokes near the end, but they feel out of place, and you’ll only catch them if you’re still awake. I’m not saying that the movie is particularly boring, but it’s very long for such an average movie… Diane Lane is sincere as Clark’s mother, and Kevin Costner is a great, scene-stealing movie Dad. His heartfelt performance will speak to you. Some of the best scenes include him. I have noticed that DC Comics adaptations are much less funny than Marvel Comics adaptations; so maybe Goyer (and Nolan) need to learn how to write a bit more fun into their screenplay. I like a little joking around in my superhero movies; and if the story were more enjoyable and entertaining, the dark tone would be easier to swallow. I do love Nolan’s Batman trilogy, but those are brilliant and aren’t stupid. This one is big and dumb. Don’t misunderstand me, the story isn’t stupid, the action is. There’s punching and heat rays and more punching. It does not feel like a lot of thought has gone into it. This action also feels incredibly repetitive. And the storytelling is ineffective. I know that Nolan and Goyer are capable of so much more. It shows that it can be smart with its aspect of Clark learning to deal with his powers. So its change in narrative makes it go from stupid to smart, and back to stupid. I enjoy most villains, as long as they are interesting, either menacing if they are meant to be, or funny if they are meant to be. And they have to be memorable. I love this villain. Michael Shannon is my favourite part of the movie. He is a true actor. His portrayal of General Zod is menacing, chilling, and compelling. Not to mention crazy, because he’s either yelling or flaring his nostrils, but I don’t really mind. I think it’s effective and menacing. Zod thinks his actions are noble, because he’d do anything to preserve the future of Krypton. He does not have morals. I do appreciate the writers’ decision to use Zod as the villain for this origins story, rather than Superman’s best known foe, Lex Luthor. The Mandarin of Iron Man 3 and John Harrison of Star Trek Into Darkness would bow down to GZod. I am ecstatic that Michael Shannon will now be a certified household name. However, in the movie, I do not appreciate the fact Superman’s duels with GZod’s henchmen feel longer than his duel with the actual, primary villain! I anticipated this not as a fan of Superman, not as a die-hard fan of the superhero sub-genre, but as a die-hard fan of Christopher Nolan. Anything with his name on it, I get excited for – mostly because I trust his judgement. If he wants to spend a lot of money producing a movie, and co-writing one, I’ll pay to see it. I don’t love this. And after thinking about it a lot, I don’t like it much, either. The few worthwhile aspects to this movie is the cinematography, the stunning visuals and Michael Shannon. Overall, it’s an incredibly underwhelming and dis-a-pointing endeavour. The zombie sub-genre is a successful one. (And The Walking Dead shows it’s wildly successful on television, as well.) We saw that with Warm Bodies earlier this year, that brought about a unique film to the the zombie sub-genre. 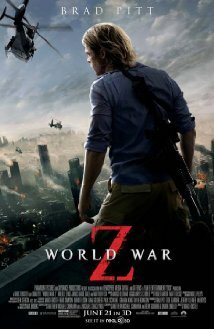 World War Z is a more straight-forward zombie movie that doesn’t try to reinvent anything. Apparently movie-goers don’t tire of watching zombies or the world end, either, as this is the second zombie movie and umpteenth apocalyptic flick of 2013. World War Z mashes genres of action, drama and horror together in this zombie feature that’s a little more in the vain of 2007’s I Am Legend and less TV’s The Walking Dead. If your favourite part of any zombie movie is all of the blood, you’ll be sorely disappointed. The only blood presented are in the form of cuts and bites from the zombies, for the most part. Even when the zombies are shot, there’s hardly a realistic shot of blood – mostly because the majority of the zombies are CGI-animated. It is never, ever gory. Half of the kills even happen off-screen. That could take half of the fun out of the movie for fans of people getting mauled by zombies. The movie is surprisingly human. That isn’t saying that the zombies themselves are human, even if some have senses of humour. Some tease their victims by clacking their teeth together like Pac Men. It’s funny, yet menacing. Anyway, the human part of this is in Brad Pitt’s character. He, Gerry Lane, is an average UN worker, who others think could play a critical role in stopping this epidemic. His motivations are driven by his family. He wants to find a cure, or at least something to save some of the human population, as quickly as he can so he can keep his family from turning into those monsters. I really like Brad Pitt’s honesty in his portrayal. One might get the vibe from the trailer that all of of the zombies will be in the form of CGI. Thankfully, that is not the case and there are quite a few humans actually playing the zombies. This movie probably does hold the record for tallest CGI-zombie doggie pile. Generally, the visuals are decent. Some of the movie suffers from shaky cam, which just shouldn’t be present in a big budget movie – because, really, one would think they could pay for cinematographers without Parkinson’s disease. The majority of the scenes are in the dark, and a lot of the camerawork is generally busy. A few scenes, generally near the beginning at the start of the hectic epidemic, are eye sores. I don’t see how 3D visual effects would add anything to the movie; it might even make the movie more excruciating to the eyes. The story’s a good one, as far as ‘find the cure’ movies go. This film is adapted from the book of the same name written by Max Brooks. I have not read the book, so I cannot comment on any similarities or big differences. All I can say is, it’s a story that plays well on the screen. I like that Drew Goddard has a hand in the screenplay; because he has talent. It’s a traditional ‘find the cure’ type of film, that doesn’t become complicated. If you do miss a few lines of critical dialogue, however, you might be out of the loop for a few minutes. Director Marc Forster brings his A-game, but he could be more aware that his movie suffers from shaky cam. It doesn’t add to the experience at all. Nor would the 3D; but this is the film industry, so they want to make money. The make-up for the zombies is good, at least those who are human. I wouldn’t exactly call this a horror movie. You might jump once or twice, but not constantly. There is a constant tense and suspenseful atmosphere. You’ll appreciate how the screenplay keeps you guessing (but it’ll be less predictable if you haven’t read the book – I’d assume). The cast is good. James Badge Dale and David Morse are memorable in petite roles. Mireille Enos has been appearing on the small screen since 1994, but this is only her second movie role. Nonetheless, she performs well. Even if her character makes a few unfortunate decisions, that don’t exactly affect her. The entire feature won’t stand out prominently in memory by the end of the year, but there’s one particular air plane scene that is good, intense fun; if not entirely realistic. This movie isn’t exactly a good horror movie, per se, but it does have scary aspects. It’s mostly just an effective actioner. I also like how it is character-driven and is never boring. For a big-budget action movie, the cinematography is too shaky. I wasn’t anticipating this heavily – so it’s a nice surprise. 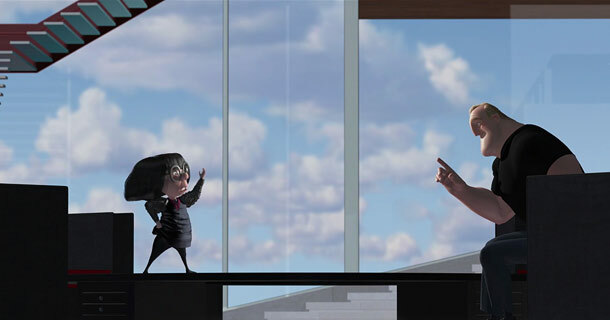 Pixar is one of this century’s most consistent studios; but they are fallible. I’ve seen 10 out of 14 of their movies. Cars 2 is apparently the runt of the litter, and I haven’t seen that, or the original. Brave (my review) is a good animated movie, but I’m not so big on the story and I haven’t (nor has anyone else, I doubt) forgiven it for winning that Oscar for Best Animated Feature yet. 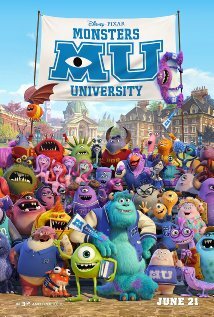 Monsters University is the fourteenth film out of Pixar’s creative cannon, and their first prequel. From the moment Mike Wazowski (voiced by Billy Crystal) and James P. Sullivan (voiced by John Goodman) met, they couldn’t stand each other. Monsters University brings us a look at the relationship between Mike and Sulley when they weren’t exactly two peas in a pod. Many people, mostly critics, have set their expectations for Pixar movies too high after the release of Toy Story 3. They’re a studio, they’re going to make a mistake. Their movies won’t be near-perfect or beloved each time. Deal with it. I’m here to tell you that this time around, Monsters University is deserving of being called one of Pixar’s best movies in years. I’m sure it will become a classic one day. It’s a great animated movie and a great Pixar movie. I’m not going to mention any other Pixar movie (excluding Monsters, Inc.) from here-on-out in this review. I want to review it as a Pixar movie, and not as a Pixar movie in the shadow of other, possibly better Pixar movies. I’m not going to pretend it isn’t a Pixar movie, because that just isn’t possible, and a disservice to Pixar. It also isn’t possible because their exemplary animation is present. This is the most creative, the most charming, and the best, animated movie of the year so far. It’s heart-warming, moving, and funny. Everything here is top notch. The story features great entertainment and a whole lot of heart. The animation is beautiful, and the creativity put into this is prominent. The stakes are high during the movie; because of a situation caused by Mike and Sulley’s feud. Dean Hardscrabble (Helen Mirren), is a frightening monster who, in some ways, is reminiscent of Henry Waternoose from Monsters, Inc. Thankfully, and impressively, this Dean is a completely different character. One might get the vibe that this franchise teaches University deans and bosses cannot be trusted. I love how Pixar can create movies that both children and adults will love. The humour isn’t always cutesy, it’s usually extremely clever. The plot is also smart and rather enthralling for an animated family feature. The last thirty (or so) minutes is an amazing final act, and one of the best and most memorable in Pixar’s filmography. Even people with the smallest bladders should hold their urine like there’s no god-damn tomorrow. This is set at a university (hence: Monsters University), which might play a part in the appeal to older audiences. This isn’t set where it is purely because of marketing to older audiences (because Monsters, Inc. definitely would be enough to bring fans back to the theatre to see this). This is set at a university because it’s the best time for these two monsters to meet. It’s when people meet their lifelong friends. It’s where their feud makes sense. This wouldn’t be set at a pre-school, mostly because their feud could be over petty things like a crayon or Teddy Graham crackers (even though those are really freaking tasty). The creators really know what they’re doing, and how to give each of these characters depth. You better believe this little guy is the cutest thing in the movie. There’s a new slate of colourful and inventive characters. This university looks like a great place to go to school. (And since Mike and Sulley can attend university, it makes me think I can do it, too!) This is part coming-of-age tale because the fraternity house crew, Oozma Kappa, that Mike and Sulley fall into, are a group of misfits who cannot scare, but they do have a lot of heart. The gang, and Mike, must find it within themselves to let out their scariest and mightiest roars. One of the main criticisms this movie might receive is that “it doesn’t need to exist”. Justin Bieber doesn’t need to exist, but some people like him. (Yes, I did just compare this to Justin Bieber. If Monsters U is going to go up against Justin Bieber, MU is going to win ten times out of ten.) If you do feel MU didn’t have to see the light of day, you’ll be glad it gets made. As a fan of Pixar, a lover of movies, and a lover of Mike and Sulley, I’m estatic this exists. This movie is so entertaining, and I love it. It’s a great opportunity to see beloved characters in a new light. They get new layers. Mike is a student who knows everything about everything, but he hasn’t always felt like he belongs. Sulley is a student who thinks he can get by just because of his family name. We see these characters in new, more vulnerable situations. We get to see these two monsters become an inseparable pair. We also get to see how Randall Boggs came to hate this dynamic duo. We also get to see some hilarious cameos. And for those opportunities, I will always cherish this fantastic film. I will always watch this with a big smile on my face. 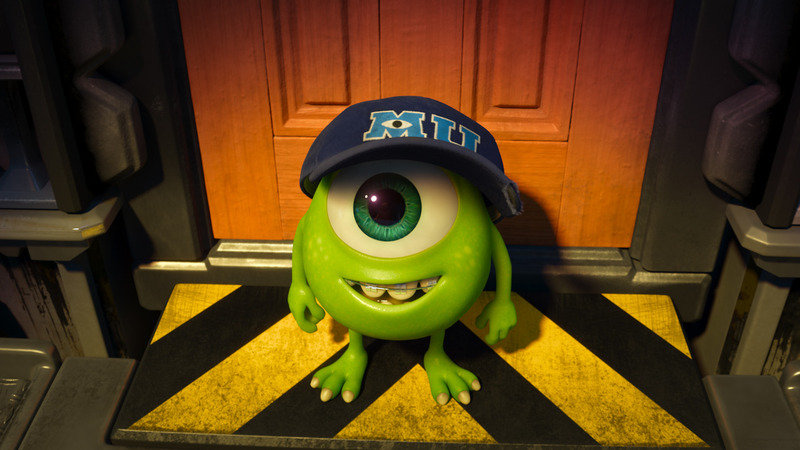 This is an impressive prequel to Monsters, Inc., and an impressive Pixar movie. This is one of my favourite bio pics. It is interesting, even though it plays out traditionally with room for surprise. It is both a depiction of Jesse James Hollywood (portrayed by Emile Hirsch) at a certain point in his life and a coming-of-age tale of a young boy (Anton Yelchin) who gets kidnapped, all because he wanted a little space from his over-bearing parents. He learns the folly of his ways, though. This is generally an emotional and powerful film. There is one scene near the end that is designed to be powerful, but becomes weird and tedious. I can also see why this movie may become to tedious to some because of its excessive coarse language (seriously, if any film could get an NC-17 rating just for coarse language, this would be it — it definitely hits triple digits), but I’m usually able to get past it. That is one of the things I don’t like that much about this, even though this might just be in my top 100 favourite films (okay, maybe 200). The casting is near-perfect, with top-notch performances from an ensemble cast including Emile Hirsch, Justin Timberlake (shining vibrantly), Anton Yelchin, Shawn Hatosy, the crazy (and crazy good) Ben Foster and Bruce Willis.